Here are the very best accessories that will thrill anyone who loves their iPhone, iPad, and Apple Watch. Choosing the perfect gift for an Apple lover may be daunting, but it's actually easier than you think. 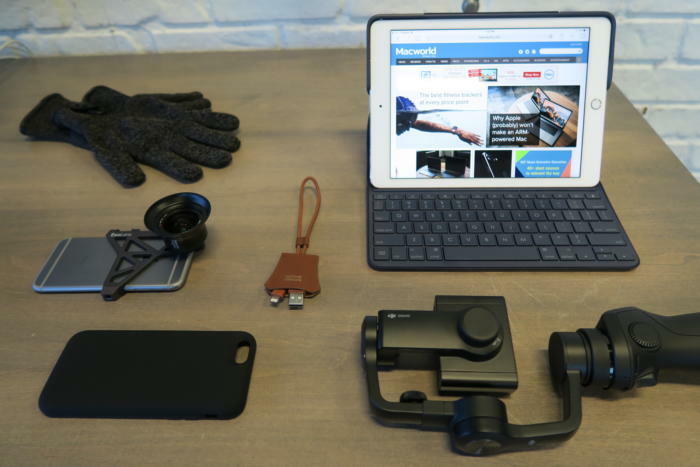 Here are the very best accessories that will thrill anyone who loves their iPhone, iPad, and Apple Watch. Winter time means extra layers, but thankfully this extra layer by Mujjo won’t get in the way of accessing all your touchscreen devices. 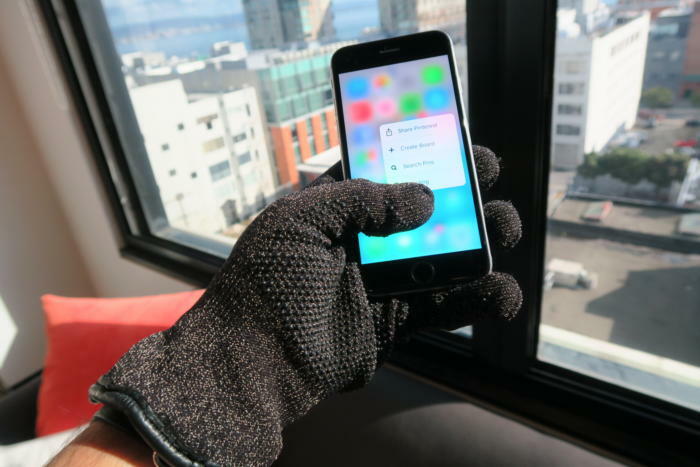 The company’s new Double Layer Touchscreen Gloves ($34.95, available on Amazon) work with all capacitive touch technologies, including the new Home button on the iPhone 7 and 7 Plus. These gloves also have silicone dot patterns for extra grip, so that your iPhone or iPad won’t slip through your fingers even in rainy or snowy weather. Plus, the fleece lining gives an extra layer of interior softness and comfort. 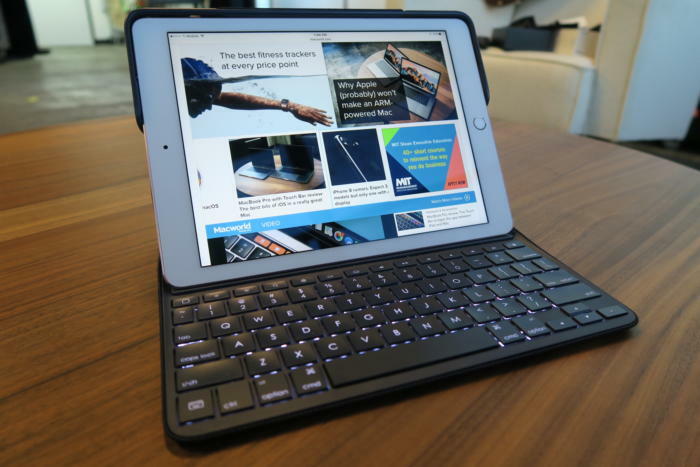 Available for both iPad Pro sizes, the Logitech Create keyboard ($129.99 for 9.7-inch and $149.99 for the 12.9-inch, available on Amazon) is the Incredible Hulk of iPad Pro cases. 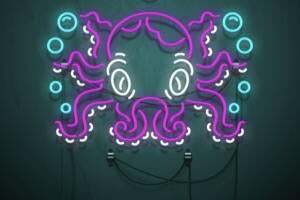 It was designed to work exclusively with the Smart Connector, so you can bypass needing to charge it seperately or pair it using Bluetooth—you just hook it up, and it instantly works. The Create keyboard gives the iPad Pro the feel of typing on a traditional laptop. The keys are even backlit (which you can adjust), and it also has a row of iOS-specific shortcuts and commands. You can go back to your Home screen, search your iPad Pro or the web, adjust the brightness, and control audio from the keyboard without having to tap on the iPad at all. Because the Apple Watch can only be charged with the magnetic charging puck, a lot of Apple Watch wearers find themselves bringing the two-meter-long charging cable whenever they travel. Thankfully, the Amber Watchcase Power Bank by ClearGrass ($99, available on Amazon) offers a stylish solution. This portable battery has enough juice to recharge the Apple Watch up to seven times, and it’s smart enough to stop charging once the Watch is at 100 percent. In addition to a microUSB port for charging the internal battery, Amber has an extra USB port so you can also use it to charge your iPhone simultaneously. Amber is made from anodized aluminum and plastic, and comes in four colors to match your Watch (silver, gold, rose gold, and space gray). The iPhone camera keeps getting better, but it can always push its quality a little further. To help make handheld video look all pro, renowned drone-maker DJI has made a state-of-the-art gimbal for your iPhone. 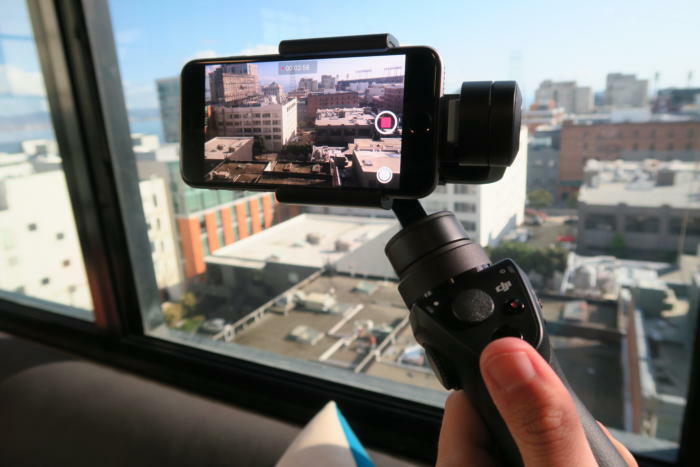 The Osmo Mobile ($299, available on Amazon) helps iPhone videographers record smooth video by turning the iPhone into a smart motion camera with joystick controls. With the companion iOS app, DJI Go, you can enable “active tracking” of your subject, create stunning timelapses and steady panoramas with machine precision, and even live-stream on YouTube Live and Facebook Live. For iPhone lovers who struggle with “low-battery anxiety,” this battery case by Mophie offers more juice, plus the perks of wireless charging. Mophie’s Juice Pack battery cases ($99.95, available on Amazon) will more than double your phone’s battery life. And when you need to finally recharge both your phone and the case, simply set it down on the charging pad. 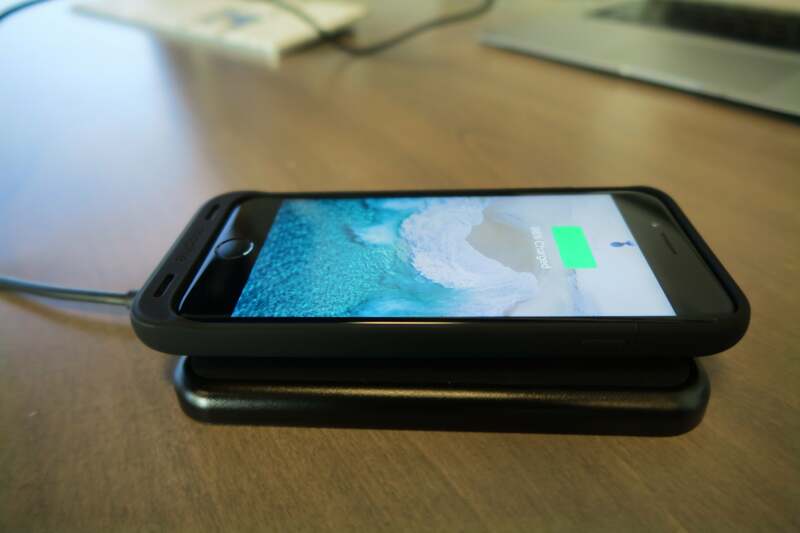 Mophie’s wireless charging ecosystem, known as “Charge Force,” also include a vent clip for your car, a desk mount, and even a portable battery. So, gifting a Juice Pack only opens up the wireless charging possibilities. Now available for iPhone 7, 7 Plus, 6s, 6s Plus, 6, and 6 Plus. 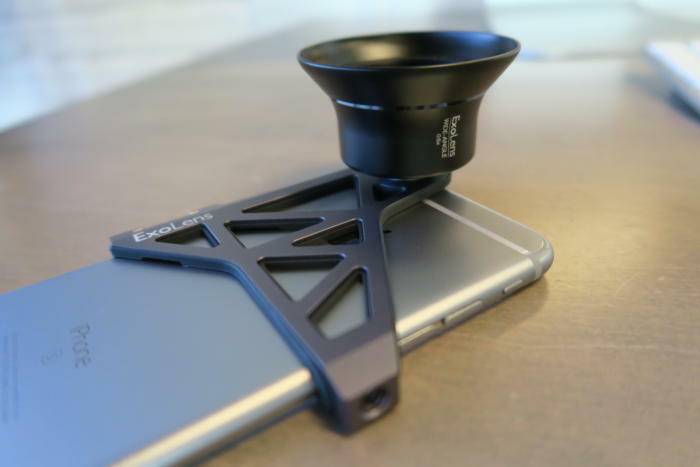 For the iPhoneographer in your life, there’s no better gift than an iPhone lens kit that will take the camera to the next level. Out of all the iPhone lenses we reviewed, the ExoLens Zeiss lenses offer the best image quality. And the no-fuss equipment retains the iPhone’s portability—just screw the interchangeable lenses on an aluminum bracket. The ExoLens Zeiss Wide-Angle Lens Kit for the 6 Plus/6s Plus is $200 in the Apple Store. It includes a wide-angle lens (18mm equivalent), a bracket, a protective aluminum lens hood, and a lens cap. The ExoLens Zeiss Telephoto 2.0x lens is $200 (lens only) and the ExoLens Zeiss Macro lens is $150. There’s no reason carrying an iPhone charger with you at all times should mean you have to sacrifice style. The TAG Cable by Native Union ($49.99, available on Amazon) is a luxury leather tag that doubles as a discreet Lightning charger. 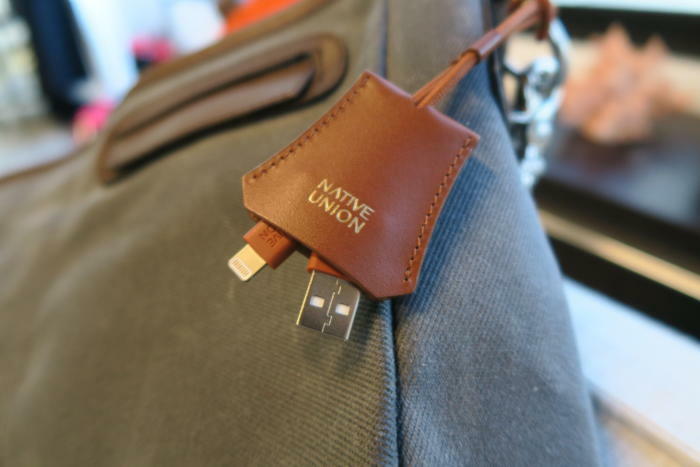 You can loop it around a bag, a briefcase, or your keychain so that you conveniently travel with an iPhone charger always by your side. It’s handmade and comes in black or tan Italian leather, which makes it a thoughtful gift.